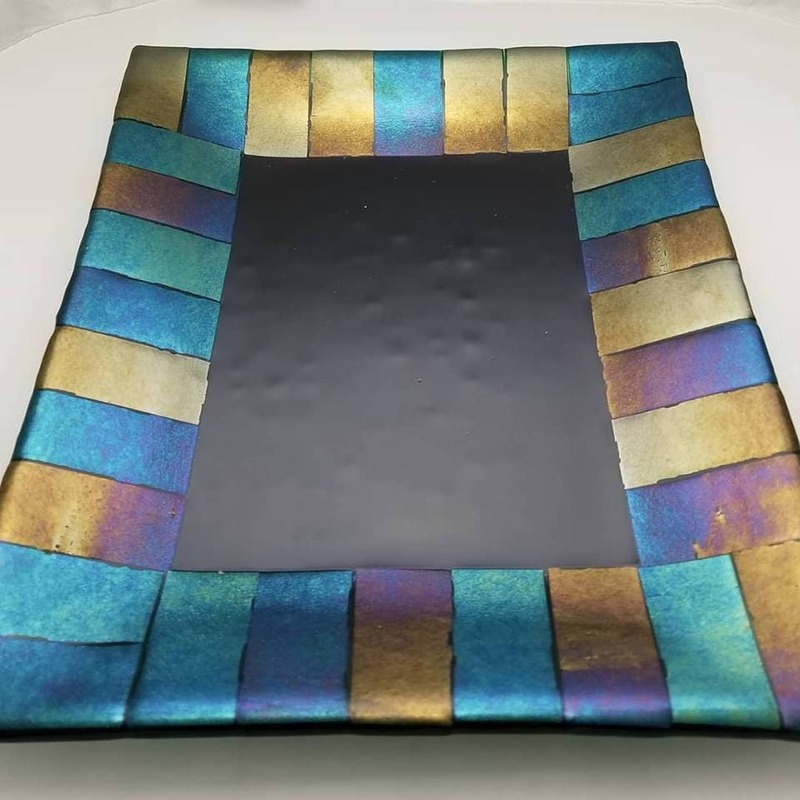 This listing is for a lovely 9x11 serving platter, featuring a black center and iridescent , colorful edgework. It is food safe, and would make a fantastic edition to your serving collection. Sure to be a hit at any get-together you may have! I made this in my studio, and it was properly annealed in a digital kiln to ensure a long, happy life! Shipping is via USPS, Priority Mail.